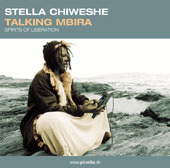 When the young Stella Chiweshe decided to become a mbira player, there was major consternation from all of those around her. She says the women were as opposed to the idea as the men. As mbira playing was entirely within the male domain, Chiweshe spent a lot of her time surrounded by men, which led the women in her village to look on her as being "loose," as she states herself. 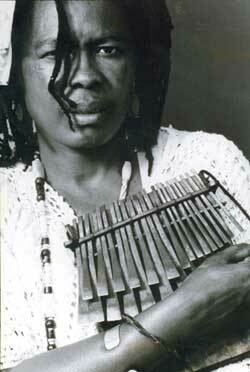 "Men played mbira, and for me to play mbira meant that I had to sit with men on either side of me. 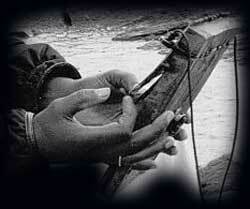 It made the women very uncomfortable." But, without reservation, Chiweshe remains steadfast that what she went through, her pioneering force at that time, has made her stronger throughout the other areas in her life. Certainly she broke significant new ground for the likes of Virginia Mukwesha (her daughter), Chiwoniso (daughter of celebrated mbira player, the late Dumisani Maraire) and the countless other female musicians in Zimbabwe today who juggle the burden of the traditional female role in society with the need to perform and be heard. Audio and photos are courtesy of Piranha Musik, Germany, and used with their kind permission.